Have you or a loved one suffered personal injury in a cruise ship accident? You may be entitled to compensation. You should consult with a Miami cruise ship accident lawyer. Contact The Berman Law Firm for a free cruise ship accident case evaluation by a Miami cruise ship accident lawyer. It is important that you quickly consult a Miami cruise ship accident lawyer with experience in cruise ship accident injury claims. There are special rules for cruise ship accident claims. For example, most cruise ship accident injury claims must be pursued within just a few months of the accident. 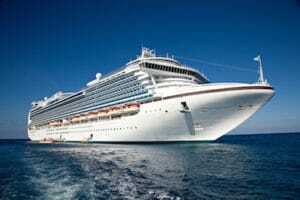 Most cruise ship accident lawsuits must be filed in federal court in Miami no matter where the accident took place or where you live, and you have a very short period of time to file your lawsuit. We have fought with the largest cruise lines and have won compensation for our clients’ cruise ship accidents, and we want to help you. What to do if you are in a Cruise Ship Accident. If you are injured on a cruise ship the most important thing you must do is notify the ship’s staff right away. You may need immediate medical attention, and the ship’s security staff should investigate your accident. Give the security and medical staff a complete account of the accident and your injuries. You should obtain the names and phone numbers of any other passengers who witnessed the accident. The ship security staff may not secure this information, and the cruise line will not willingly share this information with you later. Seek follow up medical care immediately upon your returning home from the cruise. Contact us to pursue your cruise ship accident personal injury claim. You need a Miami cruise ship accident lawyer on your side. We will promptly investigate your accident to maximize the value of your claim. Our Miami cruise ship accident lawyer will protect your rights and obtain the compensation to which you are entitled. We want to help you. Contact us now.